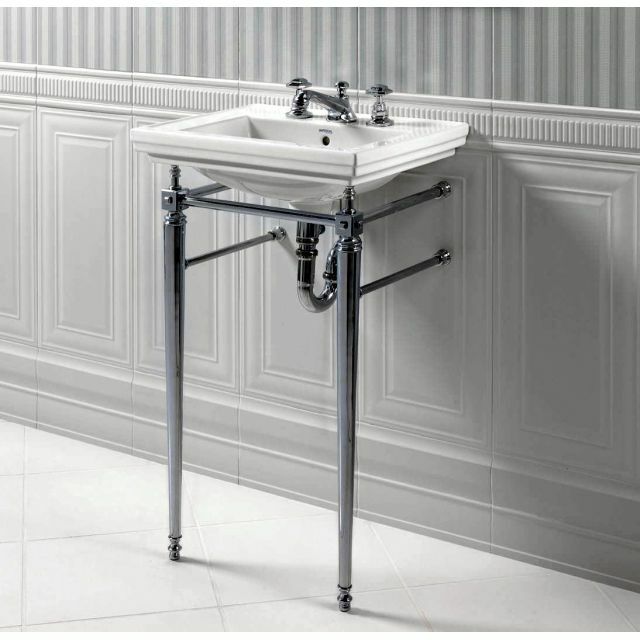 Gleaming metal and elegant tapered legs that merge with angular, cubist joints lend this basin stand a real sense of the Deco style to its name and nature. 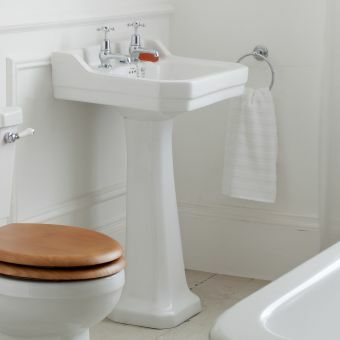 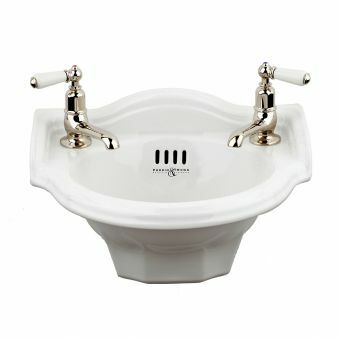 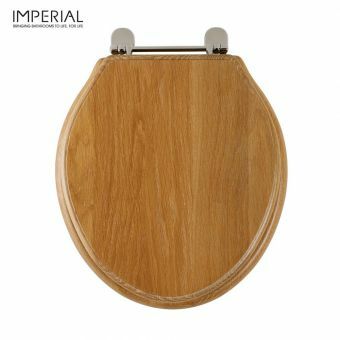 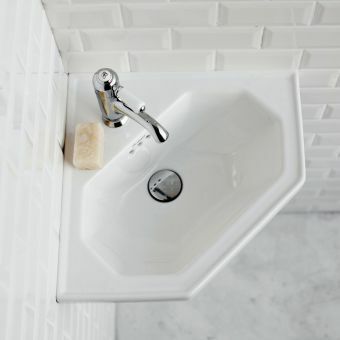 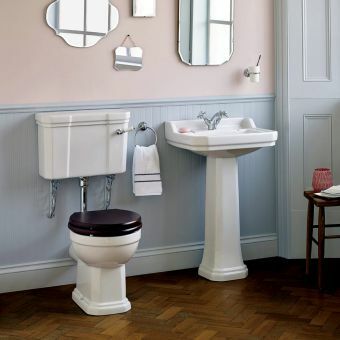 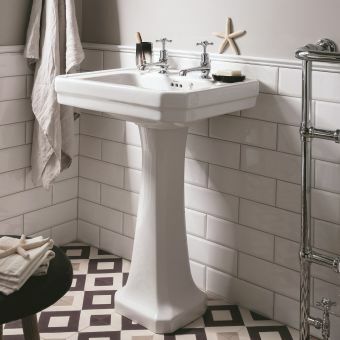 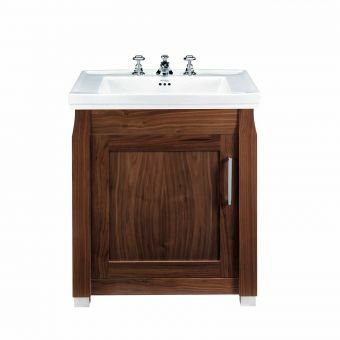 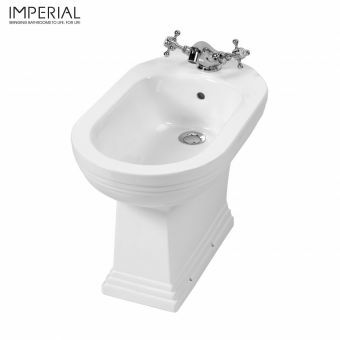 Specifically designed to be matched with the matching Astoria Deco Cloak Basin, this basin stand offsets it perfectly. 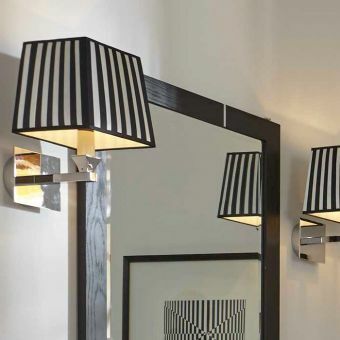 Working as a pair, they are hard to beat when looking for a centrepiece for a cloakroom that looks to recreate the inspirational, luxury interior of early twentieth century Europe. 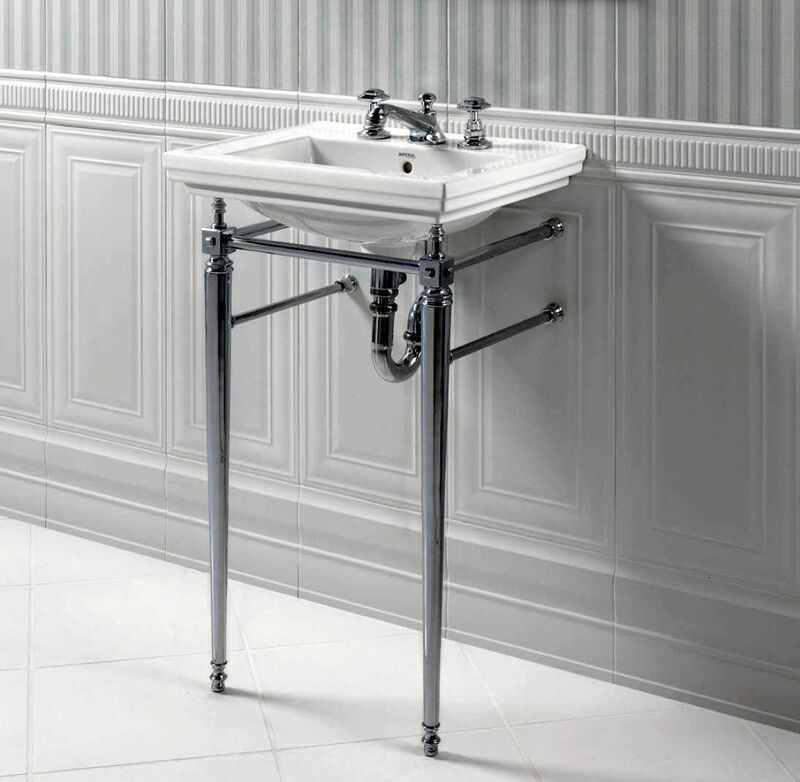 With options for gleaming chrome, polished nickel or antique gold, this basin stand can fit into different design briefs to suit your particular vision. 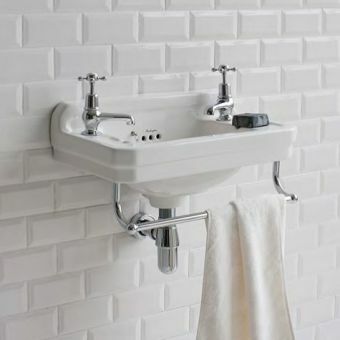 An integrated towel rail adds a neat flourish, as well as the benefit of storage for your hand towels. 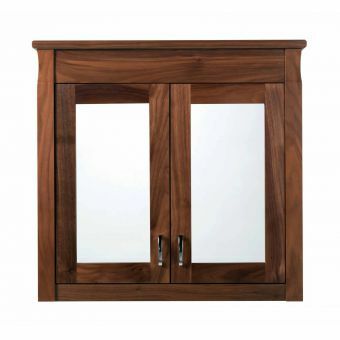 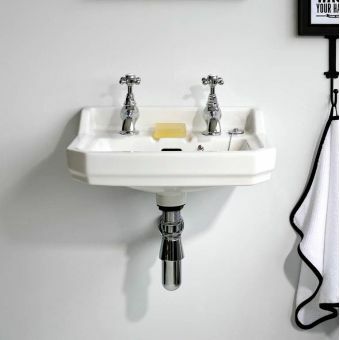 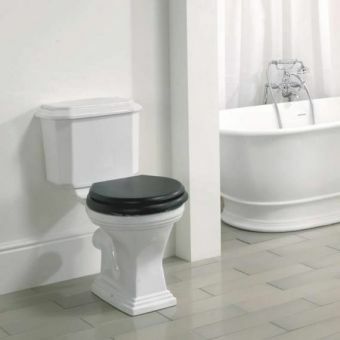 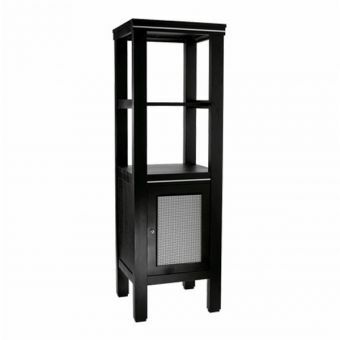 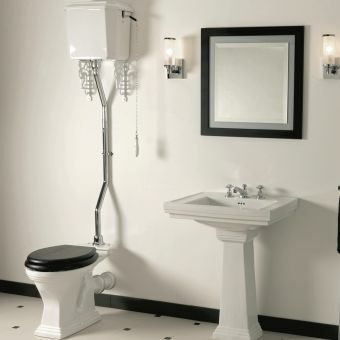 The stand measures 855(h) x 520(w) x 385(d)mm, making it a perfect piece for smaller bathrooms or cloakrooms. 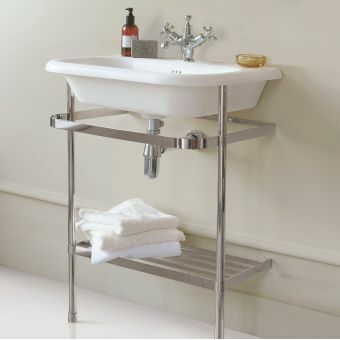 The basin features a towel rail and is available with 1, 2 or 3 tap holes.